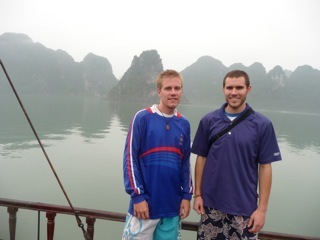 After a night of absolutely no sleep in the locals car of an overnight train we decided to book a boat tour of Halong Bay in northern Vietnam. After three hours on a bus towards the coast we eventually arrived at a harbor. Confused from lack of sleep and a lack of organization for the boat tour, a Rico Suave looking Vietnamese dude told us he messed up and we somehow ended up on a much more expensive tour so to keep quiet about the price we paid. We got put on an awesome wooden Vietnamese workboat and ate lunch with some Laotian student tourists. 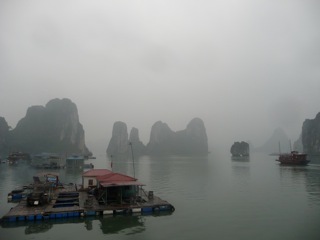 Eventually the boat set sail into a surreal landscape of green mist and jagged rocks protruding out of the ocean. Halong bay is quite honestly the most amazing place I’ve ever seen, it gives you the feeling that if medieval dragons exist this would be the place they would live! The boat stopped to let us explore some incredible island caves then continued out into the bay. My travel buddy and I virtually had the entire top deck to ourselves as we sailed through this mystical wonderland as it was raining slightly and most tourists didn’t want to be out in the cold. Drinking beer under a rain poncho taking in the incredible view and listening to the rain’s pitter patter on the water it was perfect. The boat excursion included dinner and sleeping on the boat in the middle of the bay. As the sun set we ate dinner with some old Malaysian women and drank beers with a chill Canadian guy. We weren’t planning on drinking much as we had been partying quite a lot and this small boat didn’t have much night life, but when the Canadian informed us it was St. Patricks day we decided to consume a few cocktails and partake in some karaoke. We called it a night fairly early and turned into a small bedroom at the base of the boat. Not long after going to sleep I woke up because I had been itching my body ferociously in my sleep. Feeling up and down my arms and legs I noticed I already had massive lumps all over my body from where I was scratching. I ran into the bathroom to look in the mirror and to my horror I had many golf ball sized red lumps all over my body. I took an ice-cold shower then went to check out my bed. Chad woke up from my frenzy, but he as completely fine without a single bite or itch even though he was sleeping in the same bed right next to me? When I pulled back the covers on the bed and there little bugs all over the place, but for some reason in my lack of sleep, itchy, delusional state I decided it must have been the raggedy blanket so I threw that outside and laid back in bed. Minutes later I awoke once again in what Chad referred to as a “scratching seizure.” This time I went into the bathroom I had twice as many lumps so I rinsed off again and we both decided to relocate to the top deck of the boat and sleep in some deck chairs. As I was itching myself to the point of bleeding and shivering from a cool nite outside on the ocean I couldn’t help but ponder why all of the bed bugs decided to feast on me and not one had any interest in Chad? Eventually my mind gave in and I forced myself into a short itchy sleep. After my brief rest I was awakened to the sun just poking up over the ocean between the rock outcrops. Being on the top of the boat with a 360 degree view of a sunrise in the mystical tranquility that is Halong Bay was truly magical. Time completely stood still as I sat silently taking in the peaceful bliss watching birds hunt for fish and listening to the calming breaks of the sea. I was literally so lost in the moment I completely forgot my body was eaten alive with bed bugs for a while. As Chad woke up and my moment fleeting I returned back to the horrible reality that was my itchy, lumpy body. The golf ball bumps were now closer to tennis balls and I couldn’t go 30 seconds without scratching them. Having never had bed bugs before nor seen anyone affected by them I wasn’t sure what the severity of my situation was. After telling my story to other passengers I self-diagnosed that I must be allergic to bed bugs because getting bit up is fairly normal but the hellish itchy lumps of that magnitude wasn’t standard. We still had more boat touring to do so I tried to enjoy exploring floating fishing villages despite my bleak condition. 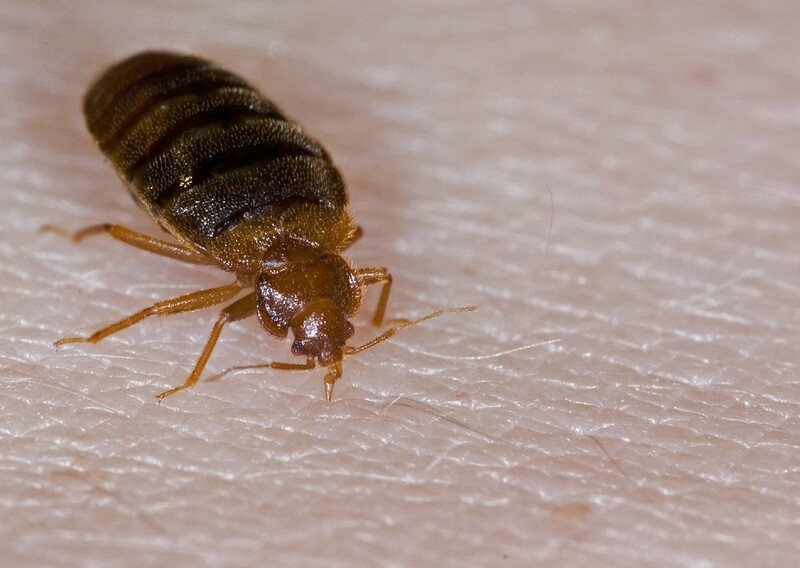 What made the situation even worse is the fact that bed bugs burrow themselves in the fibers of your clothing and backpack so until you get rid of them they are easy to pass on to others. Being a fairly small group on the boat everyone eventually got wind of my misadventure with the bed bugs and I was dubbed “Bed Bug Boy” with travelers taking pictures of me and making jokes to my dismay. I’m postive a story was told about me by every single passenger on that boat as the unluckiest kid ever! Along with the photos and stories I was also treated like a Leper as no one wanted to catch the bed bugs from me so I was given a solid 5 foot circumference at all times which didn’t make me feel great either. When the boat tour finally came to an end we took the bus back to Hanoi where I sat in the back so no one would catch my bed bugs. We stopped and ate a terrible lunch then checked into a guesthouse where I proceeded to drown everything I owned in the hottest water available in Vietnam in an attempt to rid myself of those wretched creatures. After I was confident that I had successfully murdered all the bed bugs I had a Vietnamese pharmacy adventure attempting to purchase some anti-itch cream. The whole experience was hard to judge after it was all over as Halong Bay is a phenomenally awesome place, but the bed bugs put a huge damper on things. In the end I really only learned one lesson from this whole experience; for bed bugs my skin tastes like a fine filet mignon from an upscale restaurant and Chad’s tastes like 3-days old McDonald’s. 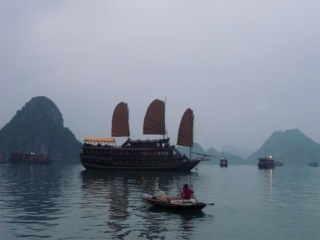 This entry was posted in Vietnam and tagged Adventure, Bed Bugs, Eaten Alive, Halong Bay, Travel, Vietnam by verenico. Bookmark the permalink. Sounds awful! When I studied abroad in Sicily, the mosquitoes were awful. They loved me and would attack my legs and any exposed skin at night while I slept. I would wake up with huge bites. It look like I went to battle. My roommate sleeping in the same room never had one bite. I feel your pain. Bugs usually love me too. Red Hair and skin favorable to bug bites, I’m sorry for your misfortunes Suzy! (Just Kidding!!) Seriously though if mosquitoes love you then I hope you never enter a bed infested with Bed Bugs, it seems they have a similar palate to mosquitoes yet the bites are ten times worse!!! Thanks very much for the kind words! I appreciate it and agree that with the abundance of information and spam on the internet it’s difficult to find things worth reading!! Thank you for the article. I would like your permission to use the photograph of the bed bug for a small brochure I am producing. There will be no reference to your article/blog or any details contained therin.